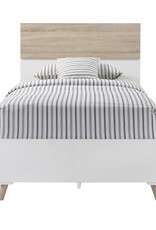 The Stockholm Single Bed is part of the smart look of the Stockholm range. 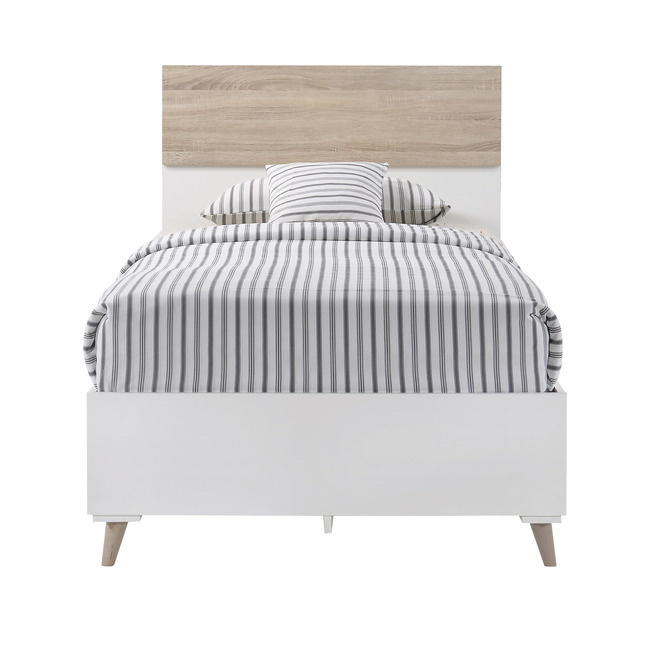 Offered at a very attractive price, the bed is comprised of a low foot end and delicate legs, with a mid-height headboard, all in a matt white finish with an ever popular oak front detail. 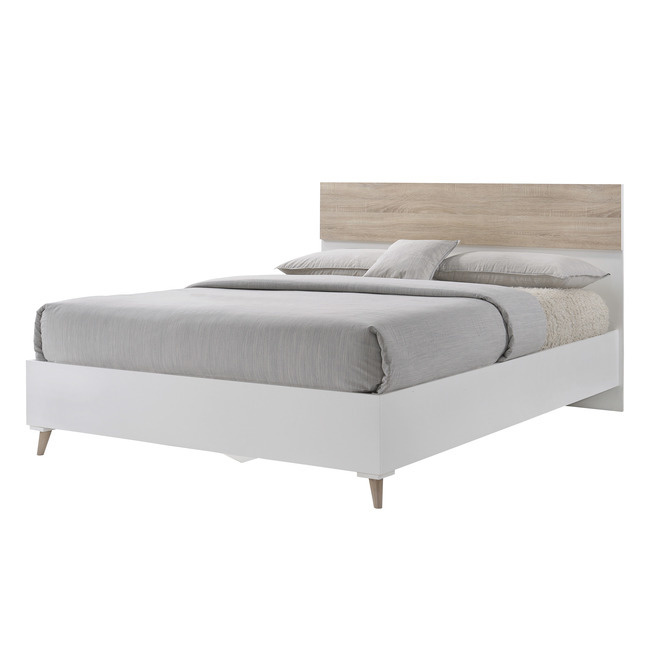 Perfect for creating a sleek, retro style, team this piece with the complete bedroom range for a cool and refreshing space. Single:W:96 x D:196 x H:100 cm. Double:W:142 x D:196 x H:100 cm. 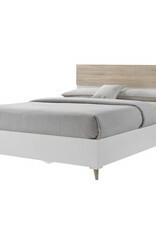 King size:W:156 x D:196 x H:100 cm. 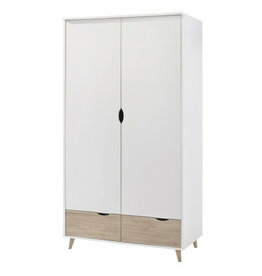 With 2 drawers and 2 doors featuring integral handles. 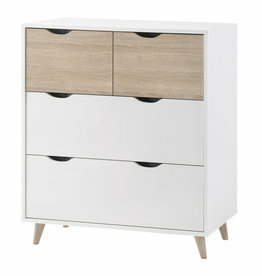 With a single drawer and door featuring integral handles. 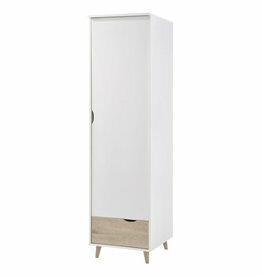 W:50 x D:58 x H:190 cm. 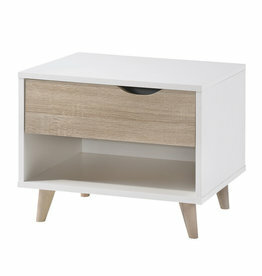 With 4 drawers of varying sizes featuring integral handles. W:82 x D:39 x H:90 cm.